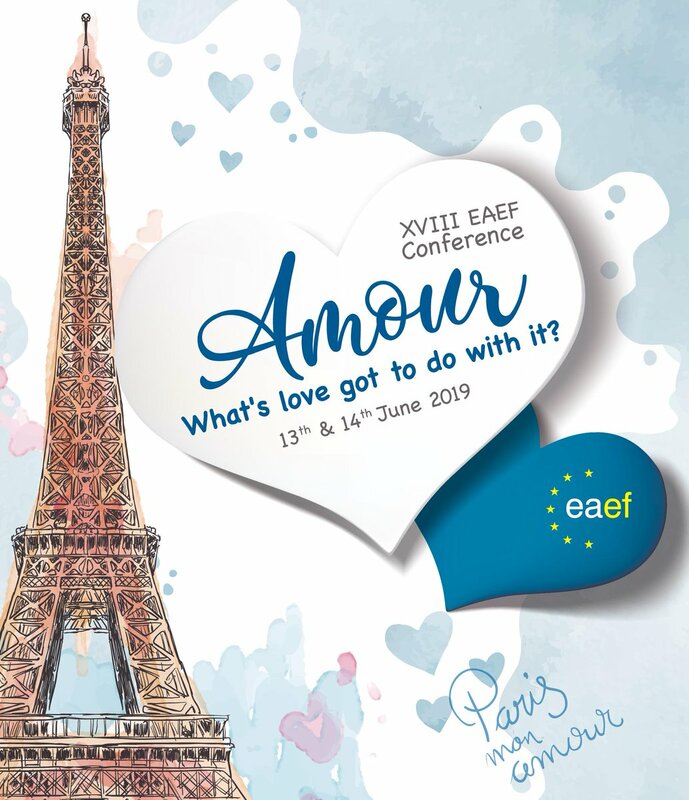 The EAEF is currently preparing its 18th annual conference, which will take place on the 13th and 14th of June 2019 in Paris, France. So save the date in your calendar and join us for a conference magnifique! We are now formally calling for papers. Our conference theme will be “Amour”. Together with you, we would like to examine how love, this powerful and central life force, may operate in the context of EAP. If you would like to make a contribution that fits our conference theme, please complete the submission form before Friday, November 30th 2018. “Bienveillance” is French for lovingkindness or caring. What does kindness at work look like? And how does it affect organizations and their employees? How can we support leaders in honing their emotional competencies, so they can “manage with heart”? What work practices promote autonomous motivation? And what does it take for millennials to say: “I love my job?”. This subtheme invites for research and best practice examples on how to put love to work. What do the Charleston Church Shooting and the Manchester Arena Bombing have in common? In the wake of terror and hate, those affected deepest responded with messages of forgiveness and love. In this subtheme we would like to invite contributions on the power of love in healing and moving beyond trauma, fear, grief and pain. Whereas many of us dream of a “happily ever after”, good relationships do require work. This is not only true for romantic love but also for work-based interactions and business partnerships. This subtheme invites us to explore ways in which we can build and maintain healthy relationships. Looking at our own industry, we would be excited to hear best practice examples of an interdependent relationship many of us are familiar with: How to bring out the best in partnerships between global and local EAP providers. In many parts of Europe, EA is gaining traction. Individual clients, supervisors, HR managers and others have come to appreciate the support our industry can provide. However, when economic upheavals hit, love for EA might not be enough to make the cut. This subtheme invites contributions on value propositions and ROI demonstrations in a European context. Because our continued success might depend on more than just love. Standard AV equipment and projection facilities will be provided. Please specify below if you would need anything else.